Since there isn't much of anything interesting to talk about regarding national politics today I thought I would riff on an idea that has been percolating in my head about lean manufacturing. This goes back to something Kieth Hill advocated for many years ago. 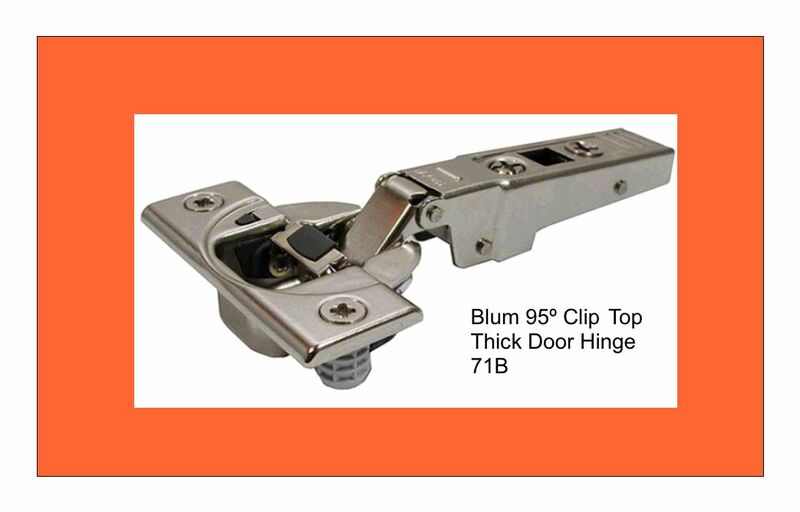 It has to do with the protocol for monitoring inventory and ordering cabinet hardware. What Kieth recommended for screw storage was to create wooden boxes that would hold a normal supply of screws. His unique suggestion was to create a false bottom in these boxes that would hold an emergency supply of screws in case of unanticipated meltdown. These extra screws were kind of like the three bullets John Wayne kept in his hat band for just such occasion. The wonderful thing about these boxes is that they can be standardized in dimension. The 1 1/2 inch screws would always live to the right of the the 1 1/4 and to the left of the 2 inch screws. A small shop costs roughly $2 a minute to operate. It doesn't make sense to spend 4 minutes on an easter egg hunt to get 50¢ worth of screws. Another thing that Kieth recommended was to put a colorful laminated KanBan card in the bottom of each box of screws. When the inventory got low enough to see the red card it was time to order. All the information you need to place the order was on the card. You don't need to go to a catalog or consult a spread sheet. One possible improvement to Kieth's idea would be the addition of a digital photograph of the hardware. This removes all ambiguity about what it is you need to order. The people who could use this most is general contractors, particularly in a robust economy like today. They have greenhorns on staff but they can't really send them to the hardware store. If you send them to the store they'll say "I need some figure 8 washers". The greenhorn on the other side of the counter will say "What's a figure 8 washer?" Greenhorn number one will respond by saying "I don't know. My boss just said we need some". That situation changes if he could just show the clerk a picture of the hardware. 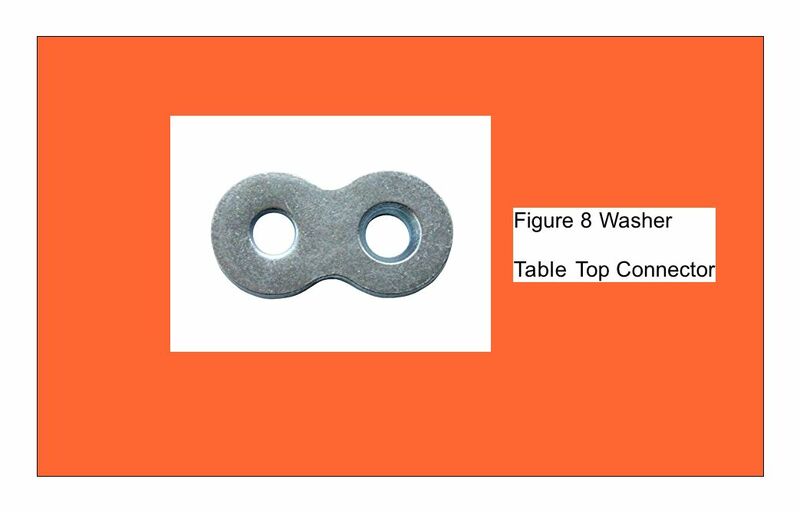 Some people might call it a figure 8 washer but other's might call it a tabletop connector. Maybe you would want to also include all the possible colloquial descriptions for the hardware. See how easy it is to screw this up? We use Kanban cards to do the reordering for all of our products. The situation you describe of box color changing has happened to us. But it was handled with no problem as the stock was put on the shelf in the marked designated spot. Our supplier of the nuts and bolts commented to me one day at a meeting, that he was surprised how my employees when reordering knew our account number, the exact item number and the amount. What also pleased him was that they were able to tell him all of the info without fumbling around looking or asking for it. I told that all of that information is on our Kanban cards, so it easy for them to reorder. This makes one less thing that I have to worry about. At the shop, we don't call them Kanban cards but rather ReOrder cards. Makes it easier for my people to understand the purpose of the card. I think your idea of calling them "re-Order" cards is way better than Kanban. It not only better describes what they are but also provides a call to action. Another thought I had about this has a tooling company I tried to do business with many years ago. I had tried to buy a haunching machine from an old guard machinery manufacturer in New York. They had one half way built and were taking it to the Atlanta Woodworking Convention to demonstrate how solid their machines were. I agreed to buy this in July. The show was in August. They agreed to ship it to me in September. When I reached out to them to consummate the transaction they said it would be another month before they could ship. This had something to do with balancing the arbor to the tooling. I checked around and found the insert cutter head I was looking for. It cost $1600 and would take six weeks to complete. This didn't work for me. I kept on the search and found a small tooling manufacturer in North Carolina. They said that if I gave them the work order on Tuesday they could have the tool in New York by Friday. They wanted $2400. I was happy to pay the upcharge because I needed the machine. I contacted the machinery manufacturer with this good news only to discover that the delay on their part really had nothing at all to do with availability of tooling. The order for the machine never got placed and I did something else. This did, however, pique my interest about how it was the new tooling company could compress their processes into such a short time frame. I eventually found my way to their company mission statement which said their niche in the markeplace would be turn around time and they would accomplish this by having well documented procedures with clearly defined steps. That sentence nagged me. I thought they were merely repeating themselves till upon further reflection I realized they truly understood the path and everybody in the organization knew the status. There were about a dozen possible stations a work order could be in. Step 1 was a Request for Proposal by me. Step 2 was to run it by engineering to see if it could be done. Step 3 was to develop an estimate of cost. Step 4 was to present the estimate. Step 5 was approval by me. Step 6 was to arrange payment for the work. Step 7 was to schedule production etc. The beauty of their system was that the work order could only exist in one of these states. There was nothing ambiguous about it and everybody in their company could see where the work order was in the pipeline and could move it to the next station without waiting for Billybob to get back from the dentist. This well documented set of processes with clearly defined steps cut the start to completion time to a fraction of what other companies required. The twofer here was that not only did they get a 50% premium for their work they got to collect the money in three days rather than six weeks. We switched to Kanban cards about 2 years ago. We have them for everything including the toilet paper. We have all information on card, part number, description,size, picture of part,reorder point, reorder quantity, vendor, vendor contact numbers and who is responsible for ordering.and where its located in storage. When items reach reorder point card is placed on hook that is labeled "needs to be ordered" with vendor name. Cards are collected and ordered several times a week. When ordered they are returned to hook that is labeled "ordered". When items come in card is checked with part and stored in inventory and card is placed back with items. If the card isnt with the bin, then we know the process has been started to replentish and we don't double order. With a very minimal amount of training anyone can now be empowered to start the reorder process as well put items away. While not perfect it has greatly reduced the amount of time we spend checking inventory and needlessly running out of items. We have a specific label template and label for dymo label printer and place on a piece of wilsonart that we have cut for this purpose. Could you post a picture of that label template? Derreck, We do the same as well. Everything gets a reorder card. Has made life very simple for me. I teach my employees to reorder the product as soon as the card tells them to. All the info is there including who and how to contact. By doing this my manager and I rarely order items. This has allowed us to spend more time managing. The manager does check everything in to make sure that we have the proper item and that it is put in the correct location. It has helped in reducing our quantities on hand to a minimal level. New hires are surprised at the trust we put in them to make the order. I let them know it is their responsibility to not run out of items. I also tell them that if they can't do their job because they didn't place the order when they were supposed to, don't cry to me when you are laid off for the day because of no work. With the ReOrder cards, it is simple. Takes time to set it up in the beginning, but I have saved the time in multiples. If you see someone who's shoes are shined it is usually a pretty good bet that his pants are pressed. If his pant's are pressed his shirt is probably tucked in. If his shirt is tucked in he has probably had a recent haircut. All this you can surmise from shiny shoes. It takes a certain amount of cultural infrastructure to support those shiny shoes and this infrastructure is probably manifest in other ways throughout the organization. How much hardware do you keep in stock? Sometimes I think I keep too much, but I absolutely hate stopping production to get screws. For instance, I use a crap ton of 3 different screws. My motto on these is 2 boxes in 1, 1 is none. So whenever I open the last box of 5000, I order another. Provides me more than enough cushion. Running out once cost more than a 70$ box of screws. It all depends on how quickly your vendor can restock you and how fast you go through the screws. I know that my screw vendor can restock in 4-5 days. Therefore, I reorder when I have enough screws for 2 weeks of production. This allows time for shipping snafus and gives me a cushion. I’m a better video taker than typing guy. Below is a video of our cards and set up. I just came back from a tour in Japan and seeing Toyota and it’s suppliers in action is amazing. Everything has a card and the Kanban card system is very cool how they use it. TPS doesn’t always work exactly the same for everyone but you can tailor it to your needs. That is a great system you have. That would allow people who did not have great english skills to participate. Kanban is only as good as the people using it. I was in purchasing for a major manufacturer. Used Kanban on some parts. I think it caused more problems than good, because production workers didn't care about inventory. They got paid more to put out more, period. Plus one of our suppliers, (owned by same company), took advantage of knowing nobody was counting anything. Ultimately, purchasing department could take care of almost anything, because we were so big, and we squeezed our suppliers to death. But Kanban didn't work. The video is a little misleading isn't it? I mean, I am major small time. Yet I could use 5 of those bins on a good day. Is that really all they have on hand? Re-order qty at 20 screws? I could find 20 pocket hole screws on my floor right now, lol. How much shipping do they pay? Hafele is ridiculous on shipping. The organization is awesome. Some things just seem a little off. Your only as good as your people. We train everyone on it and how they work. We are better with them than we ever were without them. That particular screw we never use and that is the bin the guys fill there box with so they have inventory as well and come back to this bin. We have other items we order more of and more regularly. We normally order from Hafele 2 times a week and see items the next day. We don't pay shipping over a certain amount. We never order below that. With that kind of service why buy pallet loads that im going to sit on for month in order to not run out or save a 10 cents a box? Sorry Derrick, we maybe talking about 2 different things. The company I worked for employed 1000 people. So your only as good as your people only goes so far. In my area, its slim pickins. They take what they can get. Hafele offers no shipping over a certain amount? I can usually find hardware much cheaper locally. I would consider Hafele if they offered free shipping. I am not knocking your deal. Looks like a good system. But if your paying someone to order a screw every week, and you pretty much know your going to use said screw every week. Why not buy in bulk? I only order pocket hole screws a couple times a year because I buy in bulk. But its half the price. And I know I will use them. Hafele cant touch the price, because of shipping alone. Its more than 1 box of screws, its everything. Yes I could save on melamine if I bought 6 months worth. Inventory though is a waste. First you have to pay for it, then you have to have a place to store it then you have to be ablw to keep track of it, then you run out of stuff cause you thought you were keeping track of it, then while your keeping track of it a box of it gets damaged etc. We keep a small buffer for things that we use regularly and replentish regularly as its needed. This takes up less, space keeps more cash in the bank and is easier to manage. Yes we have to train our people, out of all the things we do this is pretty easy to train on, if they can't get this they probably aren't qualified to be screwing cabinets together. This is kind of off topic but something that Derrek said about his hardware taking less space made me think of an article I read about the day Boeing rolled the last worker-owned tool chest off the floor. Boeing now provides every tool every worker needs at the location they need it. This is much different than the way hand tools are managed in a lot of cabinet shops. Individually owned tool chests take up a lot of space. Quite often this is prime real estate space. Quite often there a redundancy of hand tools as a result and probably also a deficit of some that are needed. Personal tool chests become de facto personal offices. One tool chest might have everything that is needed. One might just hold spare clothing and potato chip bags. Because these are personal spaces the business has no business knowing or controlling what is in the chests. It therefore has no opportunity to ensure that the right tool is in the right location. Hafele offers me free shipping if I buy $300. worth of product or more. I just wait until I need that much stuff. You should ask your Hafele rep about this. After reading all this, thought id give hafele another try and logged on. Is there some kind of discount that im not aware of? There just too expensive. I will save 400$ +/- this year vs buying from them. Thats just on 3 screws. Have you looked into Grainger? I am part of the Red Line program. I pay $129 per year and receive free shipping no matter the size of the order. The free shipping part saves me over $1,000 per year. I also reduced my inventory levels as I can get the product within 2 days. Im pretty happy with my suppliers, but thought Id share this little tidbit I stumpled across. In quoting on a potienal client, I stumpled upon staples commercial acount. They quoted me boxes that were considereably cheaper that uline. Plus they offered next day shipping. Maybe this isnt news to anyone, I just didnt know anyone exsisted except uline for small qty packing material. Cwwoodworking, Are you in the USA? If so, unless you have an account with Häfele America Co the price you'll see on the site is suggested retail. Even with an account you may not be set-up with the correct pricing. The program that you'll want to explore is called "My Häfele". It offers discounts, a lower free freight threshold, and a growth rebate. Talk to your Häfele rep.